Yellow jackets, of taxonomic family Vespidae, are common in the United States. Nests typically hold up to 5,000 wasps at one time, and a queen yellow jacket is capable of producing over 25,000 eggs in one season. The first batch of yellow jackets born to the queen are responsible for providing care and food to her and to her subsequent offspring. When not caring for larvae, adult yellow jackets feed largely on carbohydrates from sources such as fruit, sap and plant nectar. While flying from plant to plant to collect food, the yellow jackets assist plants with pollination. To collect sugar, the yellow jackets stick their long tongues into the desired food source. When the time comes to care for larvae in the spring, adult yellow jackets feed on sources that are higher in protein, such as insects like flies, caterpillars, other insects' larvae and carrion. Sterile adult females are workers for the queen yellow jacket. They are responsible for protecting the nest, finding food, feeding the queen and feeding larvae. Female workers travel as far as 1,000 feet from the nest to find food. As the nest grows, or when food supplies become scarce in the fall, the adult yellow jackets become more aggressive in finding meals and will often interfere with humans or enter beehives to steal honey. To alert female workers they are hungry, larvae wiggle around in their cells. A female worker acknowledges this and leaves the nest to search for a food source. Upon finding a suitable food source, the female worker returns to the nest and chews the prey item into a paste, using her powerful jaws. This makes it easier for the larvae to consume meals. The worker then tickles the larva, inducing it to emit a sugary liquid from its salivary glands. The adult consumes this liquid and, in return, feeds the paste to the larva. This is known as trophallaxis. According to the University of Illinois, yellow jackets are accountable for half of all human insect stings. Yellow jacket workers will wander to areas such as garbage dumps, camp sites, restaurants and picnic areas in search of food for a queen and her larvae, typically when populations are at their peak and food sources are depleting. 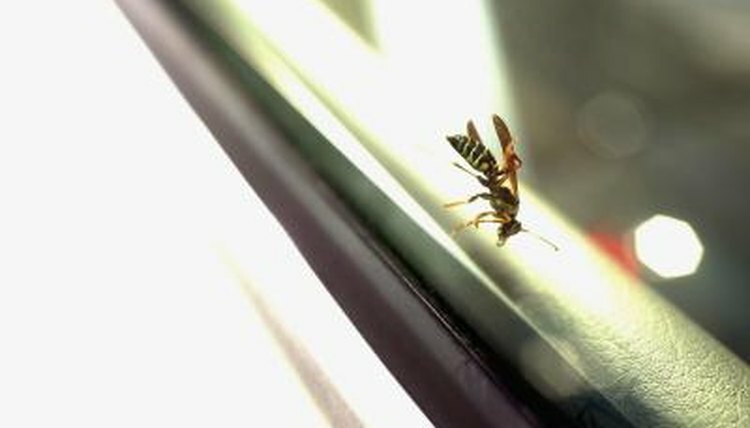 Conflict between humans and yellow jackets can be dangerous, as yellow jackets sting more than once. Additionally, yellow jackets will forcefully attack if their nest is threatened. What Months Are Wasps Active? Why Do Yellow Jackets Swarm Around Food & Sugar?